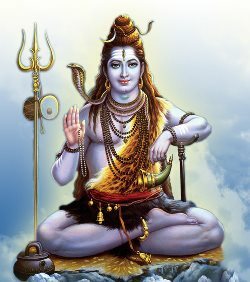 Mahashivratri is an auspicious and important festival of Hindus, especially for the devotees of Lord Shiva who celebrate the religious festival with great enthusiasm. The Mahashivratri festival, also much popular as 'Shivratri' or 'Great Night of Lord Shiva', is observed on the 13th night/14th day in the Krishna Paksha every year on the month of Phalguna or Maagh according to the Hindu calendar. Devotees on Mahashivratri throng to temples and holy shrines to offer prayers and please Lord Shiva. According to Hindu mythology, Mahashivratri is Lord Shiva's favourite day. Devotees on this day remain on fast or perform hour long spiritual meditation by following rituals to commemorate Mahashivratri and be blessed with grace. In the early morning, they visit temples to offer cold water, milk and bael leaves on the Lingam, a symbol for the worship of Lord Shiva, after properly cleaning it. Many sadhus on Maha Shivratri visit shrines and offer marijuana to worshipers to spread the significance of the festival. Wearing a garland made from rudraksha and applying turmeric vermilion or holy ash on forehead symbolizes a holy ritual on this religious festival. Holy mantras are also recited and special puja ceremonies are held throughout the night to celebrate Shivratri. Numerous interesting and intriguing mythological stories are believed pertaining to the celebration to Mahashivratri. In a version, devotees believe that Shivratri is auspicious because it marks the marriage ceremony of Lord Shiva and Parvati. However, many believe that Mahashivratri signifies the auspicious night when Lord Shiva performed the dance 'Tandava' that led to the creation, conservation and devastation of the universe. Mahashivratri is not only one of the magnificent festivals in India but also in Nepal and other regions where Lord Shiva is worshipped. Among the various popular shrines, Amarnath temple pilgrimage or Mount Amarnath (about 140 km from Srinagar, Jammu and Kashmir) is believed to be the holiest in Hinduism. Surrounded by fascinating mountainous terrains and picturesque snowy mountains this shrine remains crowded by pilgrims throughout the year especially on Mahashivratri. For women, Mahashivratri is an auspicious festival. They observe fast and offer prayers both to Lord Shiva and Parvati to shower their grace with a peaceful and blissful married life. Amid celebrations, to share the excitement and spread the essence of the Mahashivratri festival people send inspirational Mahashivratri SMS and lovely Mahashivratri messages to their dear ones. The collection of Mahashivratri SMS gives individuals the privilege just to say 'Happy Shivratri' or to mark Shivratri as a special occasion.